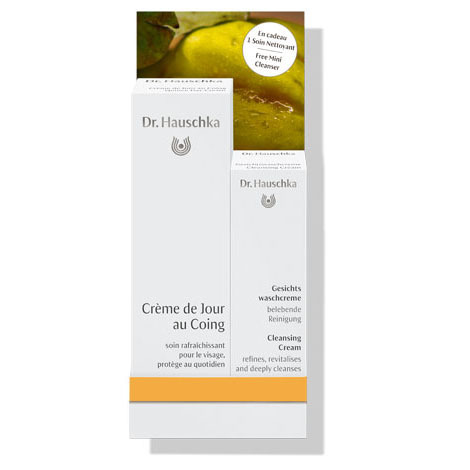 Home › Beauty › Dr. Hauschka Quince Day Cream 30ml. Now with trial size Cleansing Cream! Each morning after cleansing and toning, apply a small amount evenly to the face, neck and décolleté with your fingers. Quince Day Cream is perfect as a primer before applying make up. In the evening, we recommend using Night Serum or Renewing Night Conditioner as a non-oily night time skin care product. During transition phases and in winter, when the skin needs additional moisture,Revitalising Day Cream can be applied under Quince Day Cream.